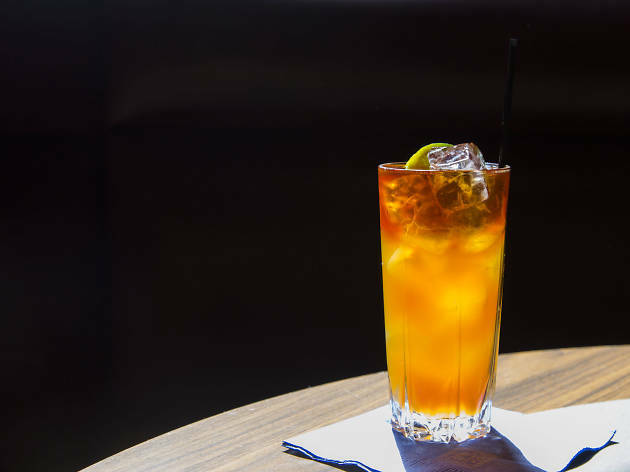 A straightforward bar serving up simple cocktails, craft beers and select wine in the West Loop. Although the headliner here is the alcohol, they don't skimp on the food offerings with inventive snacks like salt cod fritters and smoked cheddar popovers, small plates like the Foie Gras Grand Slam with pancakes, candied bacon powder, maple braised apples and whipped eggs as well as sandwiches. El: Green, Pink to Clinton. Bus: 8, 56. Dark old school atmosphere. Trendy crowd. Delicious drinks. Cozy Booths. It's not too hard to find. It is great to take visitors to and show off the speak easy side of Chicago. Love the Negroni but have also liked everything else I have tried. This is where you go to get well made drinks just outside the West Loop. Great place to have a cocktail before you head to Oriole, which is right around the corner. I loved everything about my two experiences here. The old-school vibe is so fun; the long list of drinks are executed to perfection; the prices are reasonable for the quality; the location is central and convenient; and the service is excellent. The cocktail menu is the star here, bringing fresh love to old classics, including the Pink Squirrel, which was my great-grandmother's drink of choice. This is a standout summer drink, topped with a boozy cherry and what seemed to be cherry-flavored whipped cream. I also tried the strawberry margarita, pimm's cup, sidecar and pina colada--all excellent. The Pink Squirrel is still my favorite though. Super fun cocktails! Love the spin of the classic French 75 made with cognac! 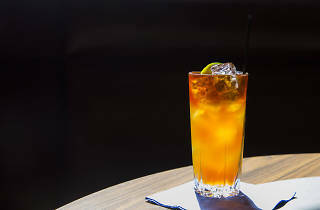 Had my first Long Island iced tea, which I was told by my friend I will never have one that amazing. Awesome place for classic cocktails and great energy, don't eat there though please. I'm not sure why we did because it does have that dive vibe but the quail egg oyster shooter sounded so interesting and so did the frog leg buffalo wings. The crisp was what was the real turn off, not only overly pretentious but it was warm, or at least the plate it was served on was and it just wasn't right. Frog legs were a really interesting idea but the whipped blue cheese was a bit of a mouth full. Quail egg oyster shooter is worth trying, after all you're gonna treat yo'self with these elaborate drinks anyways aren't ya? Mad men meets old school meets loop of Chicago. Loved this bar! It's hidden on lake and you have to be looking for it to find it. We got there just before the crowd and were able to snag a table in the corner. The menu is eclectic and full of drinks....some of the old mainstays and definitely some ice never heard of. Fantastic drinks. Great atmosphere. Pretty decent service. Overall, I would say to go check it out and grab and cocktail. It got jammed right after we got there and the place isn't that big so potentially might have a wait.